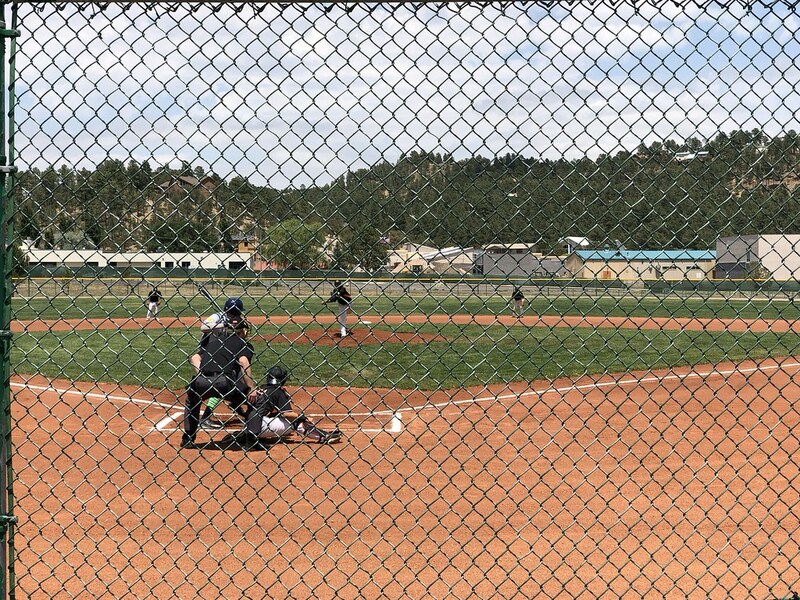 The view from behind home plate at White Mountain Park. 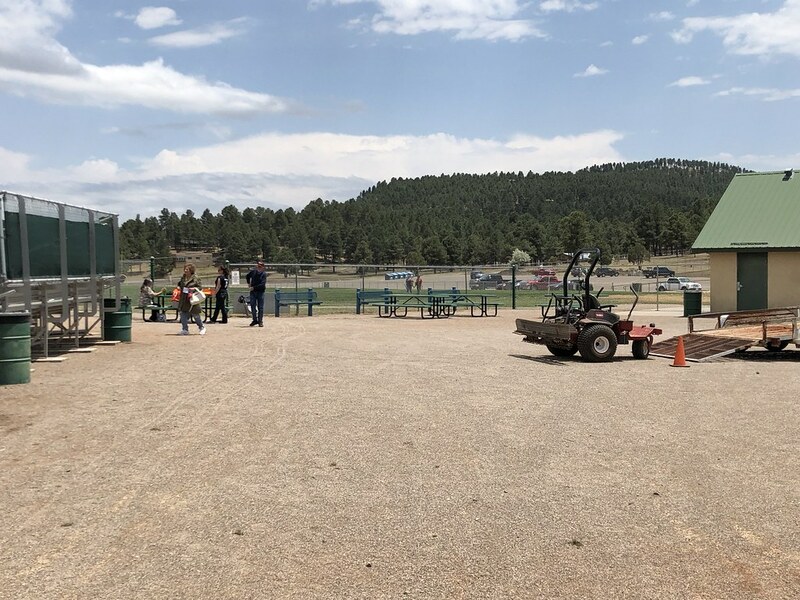 The seating area at White Mountain Park, as seen from center field. 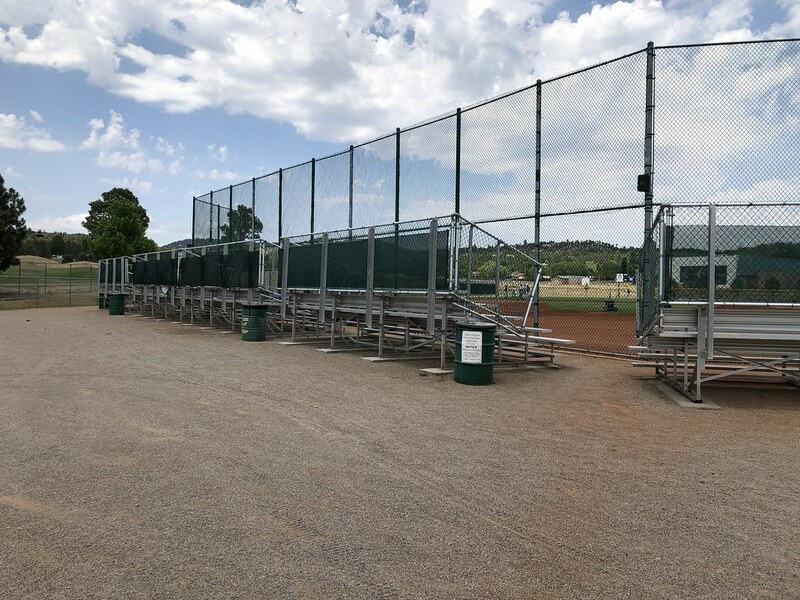 The main seating area consists of several small aluminum bleacher sections running along the backstop behind home plate. 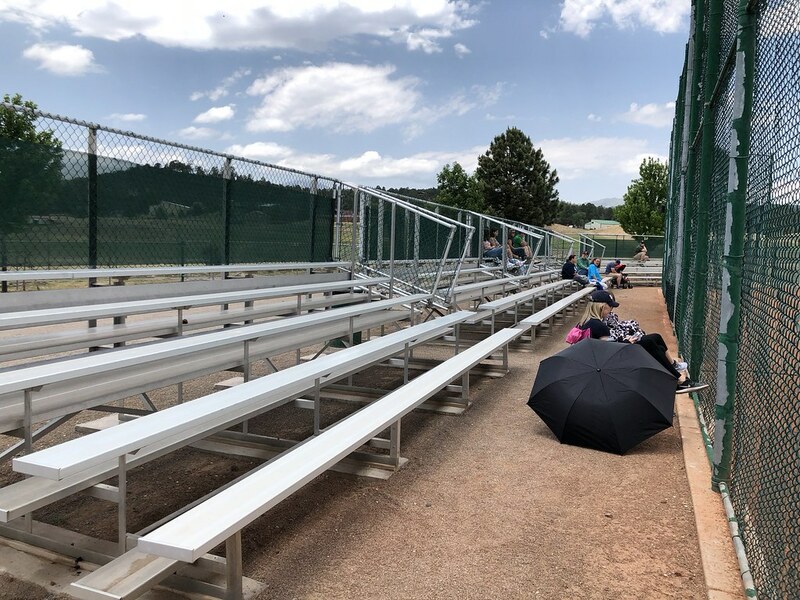 More small bleacher sections run down the first and third base lines. 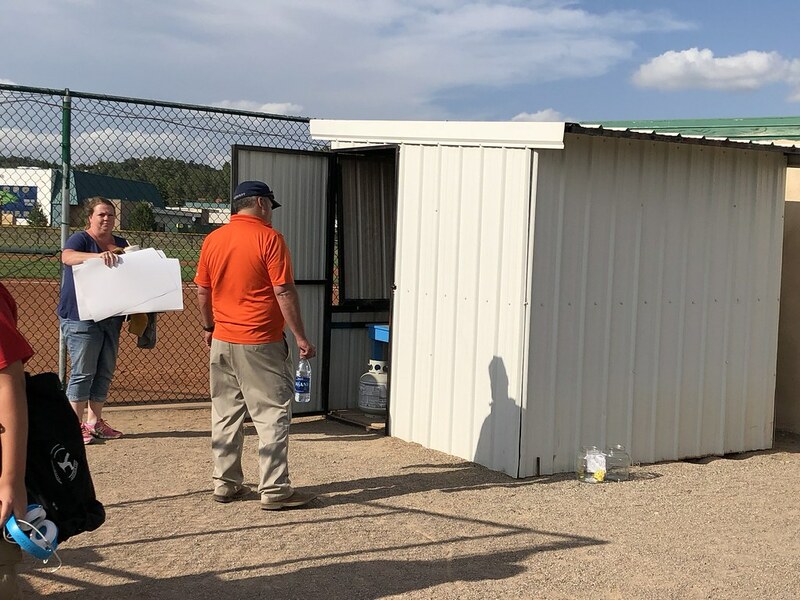 The pressbox at White Mountain Park is a small shed located at field level on the first base side of the park. 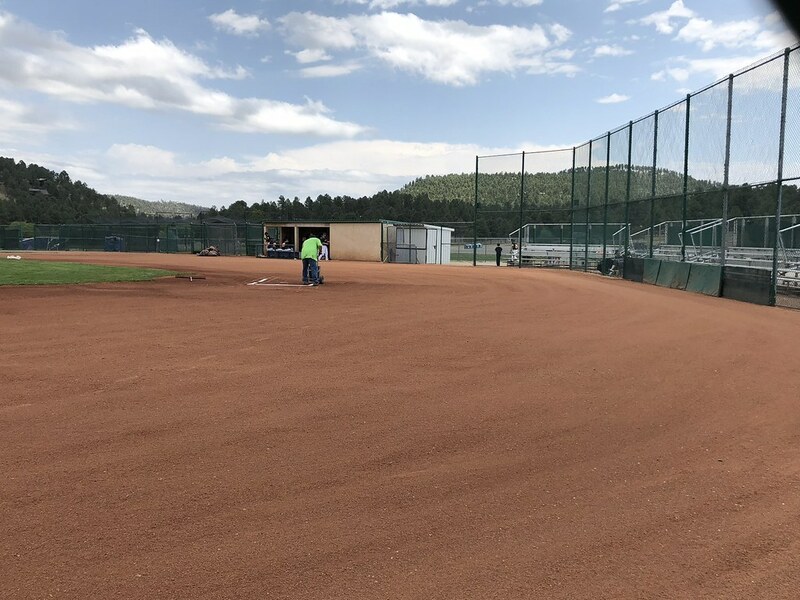 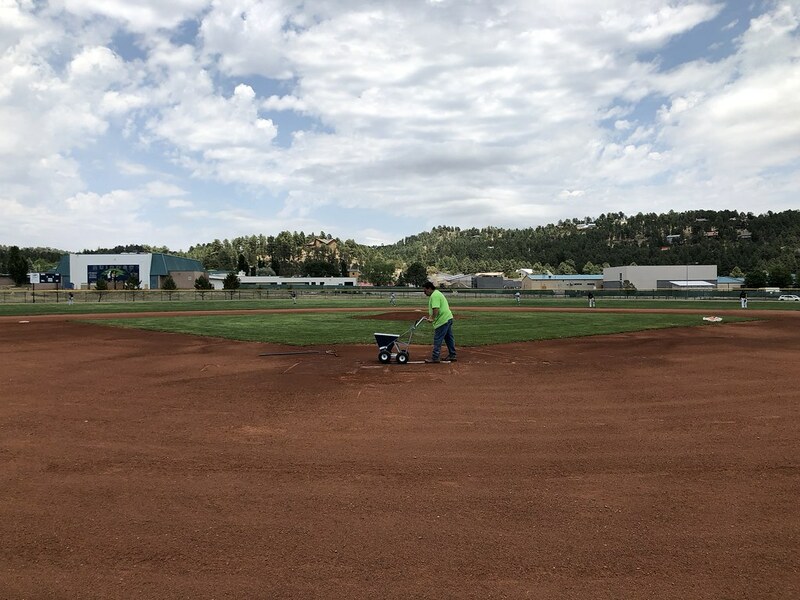 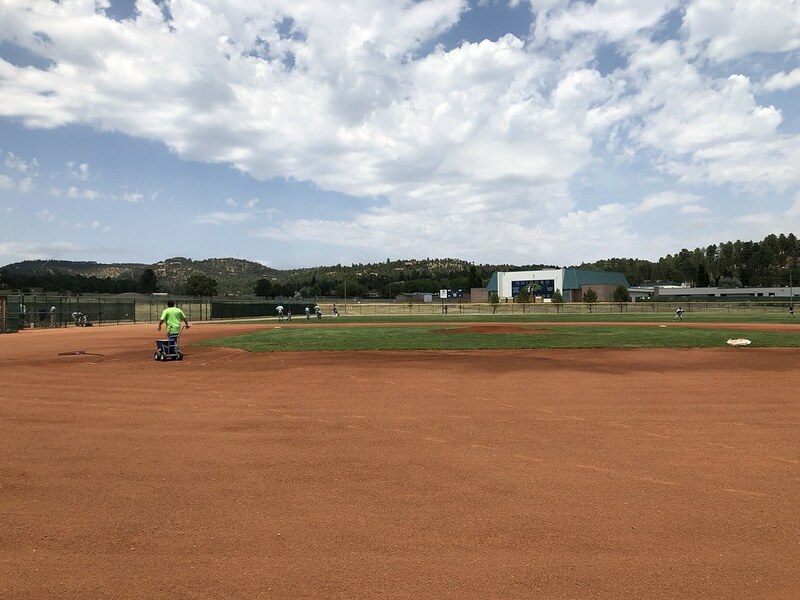 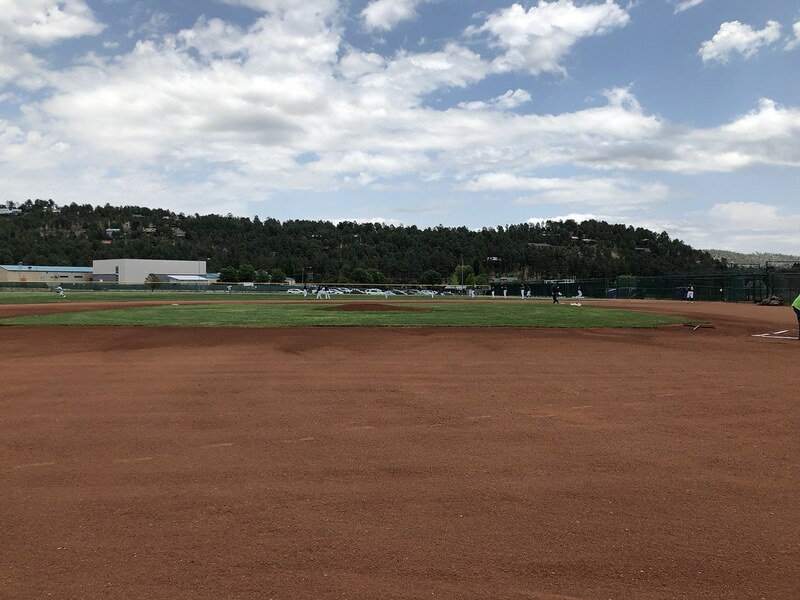 The field features a wide backstop behind home plate and a large dirt area that runs all the way from the center of the infield to the fence with no grass in between. 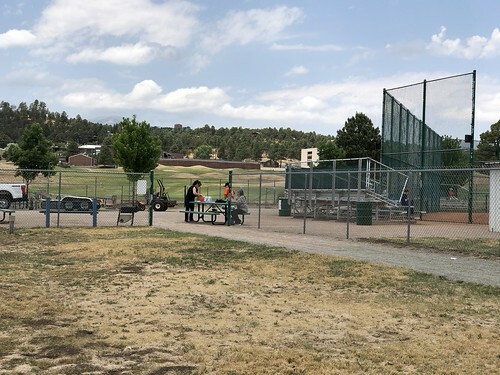 The "concourse"is an open area behind the bleachers that features picnic tables and a small concession stand. 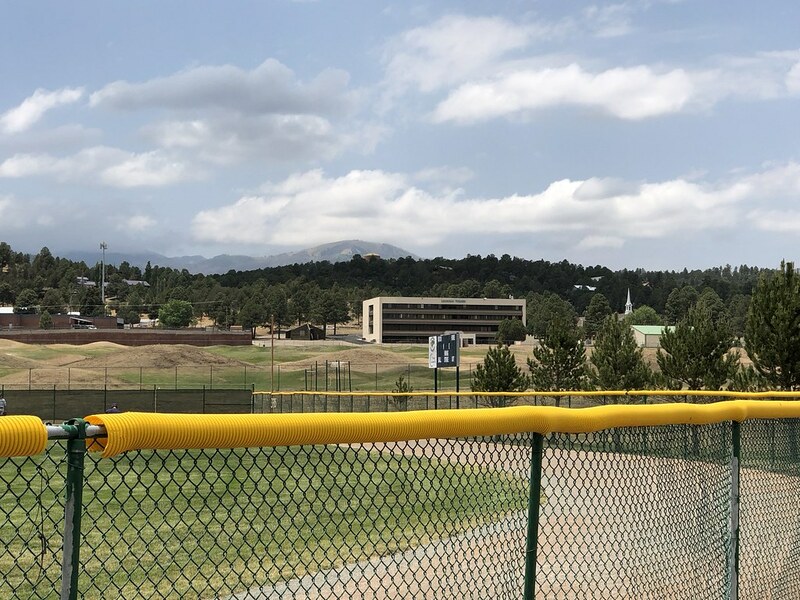 A small, basic scoreboard stands behind the left field fence. 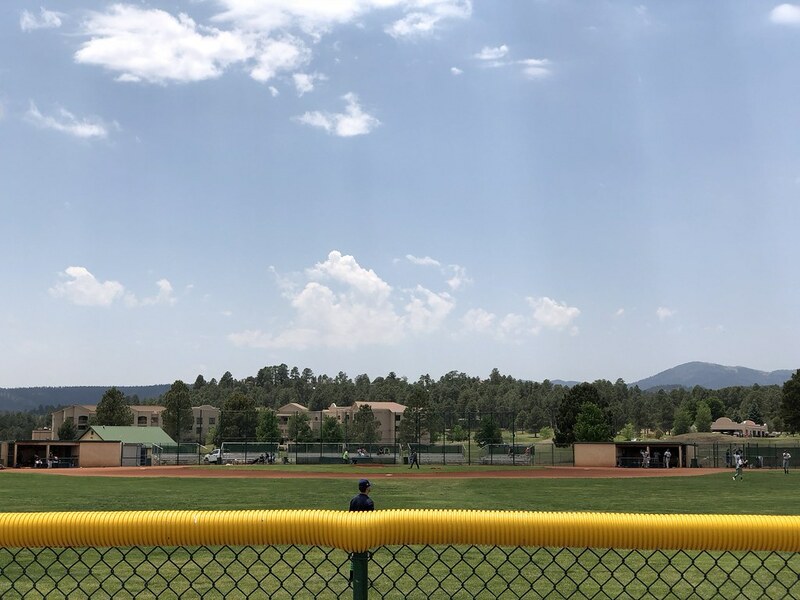 The mountains of central New Mexico tower behind the grandstand. 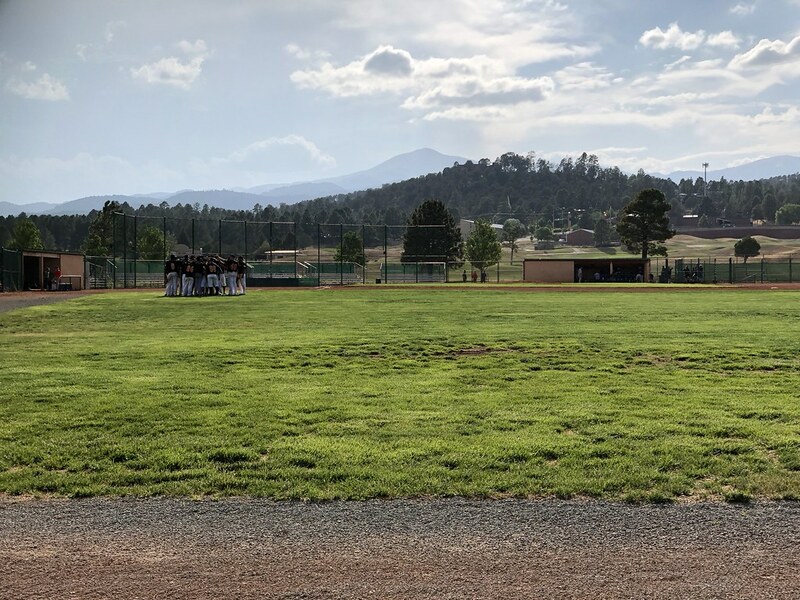 The Ruidoso Osos on the field during a game at White Mountain Park.